At sea you can’t just call the fire brigade or ambulance to get help. A major reason people go to sea is because they are largely self-reliant and have to sort things out as they arise. The best salty tales in the bar are of exciting events where something went wrong and the sailor bravely sorted it out! Equally, it is a matter of pride that most people who go to sea never need emergency help from outside in their whole sailing careers. 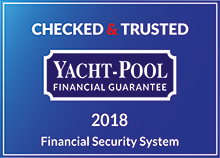 To ensure you do make it home in one piece under Greek law we must meet or exceed a number of safety regulations with regard equipment on your boat. Before you set sail it is everyone’s responsibility to make sure you have everything and that it works. Ensure that your lifejacket fits. Everyone should have their own lifejacket that they have adjusted to fit them and they can access it within 10 - 15 seconds’ reach at all times during the day. At night and if the weather becomes uncomfortable everyone should wear one at all times. All children should wear one all the time. 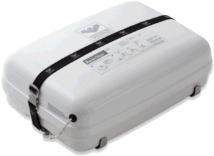 The First Aid kit should be in a quickly accessible place that everyone should know of. Inside the First Aid kit there will be a list of things that should be in there. The skipper should make sure everything on the list is in it. There will be bandages, a sling, a number of gauzes for cuts and wounds, eye pads, an eye bath, safety pins, scissors, splinter forceps, as well as alcohol wipes and disposable gloves. Additionally there will be instructions for carrying out most types of emergency treatments inside such as CPR and holding broken / sprained limbs. For accessing the engine compartment and bilges, as well as getting about the deck and cabin after dark, there will be a torch provided. Make sure that this works and the bulb shines brightly. These aren';t just for looking at the pretty men / women on the next boat! Binoculars are useful for line of sight navigation, and if someone goes in the water, spotting them. Test them before you leave the dock. There are two types of flare – the handheld flare and the parachute flare. If set off people will report it to the emergency services as a life or death emergency. It is not funny when you let one off for the fun of it. Before departure the skipper should have a look at the date of expiry of the flare, and make sure that it is in date. Secondly, the crew should look at the instructions for use in case you need to use it in an emergency. The skipper should check its contents (powder, foam or water? ), and make sure the safety pin is in and shake it to make sure it has not been used. Check the time it was last inspected and make sure it is not overdue an inspection. Again, if someone fired it for fun one night after too many beers but there was a fire the next day at sea, they would feel a bit of an idiot. To fight the fire, make sure that the gas or other fuel supply is cut off. If it is a cooking oil fire, wet a shirt or blanket and cover the pot. If it is anywhere else, remove the pin from the extinguisher and aim at the base of the flames. Use until the flame is out. Call for help on the VHF. This is one thing everyone should have on them at all times. 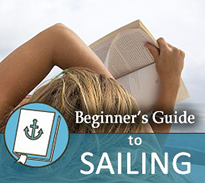 Make sure it is sharp and ready to hand at all times while sailing – sometimes cutting a line in a few seconds can save hours of difficulty. 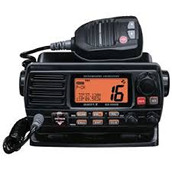 Only use this if you have a VHF license unless there is an emergency where everyone can use it. It should be tuned into Channel 16 and on at all times you are at sea. If you run into trouble and there is risk of death or loss of the vessel, switch to Channel 16 and call “MAYDAY MAYDAY MAYDAY This is yacht (name) and (exact location)” three (3) times. When the Coast Guard respond, say your exact position and the emergency you have. You might be on fire, sinking, or be on the rocks somewhere. If someone has had a major medical emergency such as a heart attack, stroke, or been knocked unconscious call Channel 16 and say “PAN PAN PAN, PAN PAN MEDICO, This is yacht (name) and (exact location)”. The Coast Guard will respond and ask you some questions before sending out a helicopter or boat to help. You will find the life raft in a bag in one of the cockpit lockers or attached to the stern. In a storm in 1979 that hit an ocean race off the UK, a lot of people died in their life rafts while the boats the yachtsmen had abandoned were still afloat. The lesson learned from this was that you only get into the life raft when the boat is about to go under water or is certain to sink. If it has even a metre of water in the cabin but is still afloat, or you have put the fire out and it is damaged but floating, it is best to stay on the yacht and call MAYDAY on the VHF. 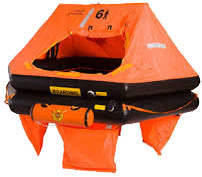 Before you go to sea, everyone should read the instructions on launching the life raft and be aware how to use it. If there was a gas explosion and only one or two people survived they should know how to inflate it – otherwise you could follow your friends to the next world.